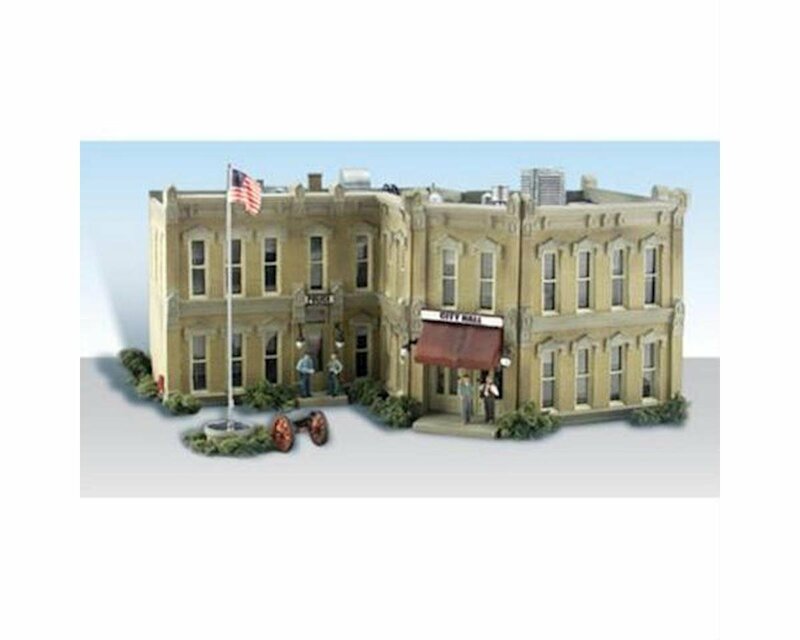 These pre-assembled, hand-painted and fully-detailed HO scale Built-&-Ready Landmark Structures are great for building cities, towns and villages and ready to set right on your layout. Each is individually molded with high architectural detail. The added detail really makes a difference. It's the little things that count. Two-story brick-patterned city hall and police station. 360-degree detail includes window shades, propane tank, electric meter, awnings, exterior signage, drainage spouts, and roof top duct work and chimneys. Set includes a red metal canon and Old Glory waving atop a flag pole. Footprint: 8 3/8" W X 5 7/8" d X 4 3/8" h.